Kills mould, lichen and algae on external surfaces. Can be used on concrete, brickwork, stone, roofing felt and most building materials. Removes lichen from carvings and decorative stonework and treats algae on masonry, brickwork, renderings and paintwork. Approved under the control of pesticides regulations 1986 for use as directed. HSE no 8414. Use only in accordance with directions. 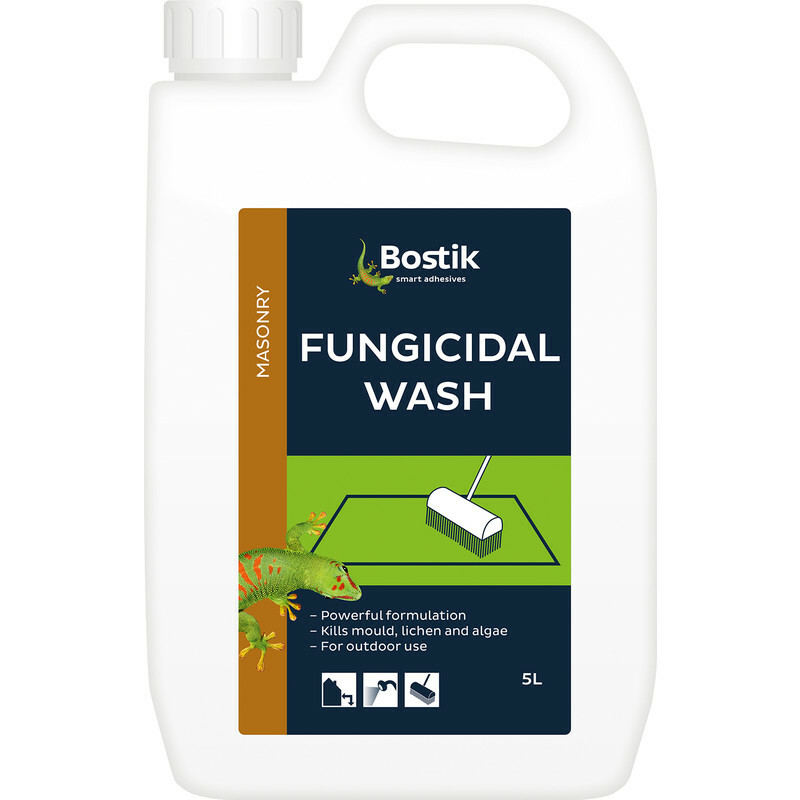 Bostik Fungicidal Wash 5L is rated 3.0 out of 5 by 1.